Bunny Runs with Scissors: Graduation Season is here! With Graduation right around the corner for Jillian ~ can't believe those years went so fast, Like they say "Don't Blink" ~ It is time to think about Graduation cards for her friends! She has a BRAND NEW Grad Cap die out! 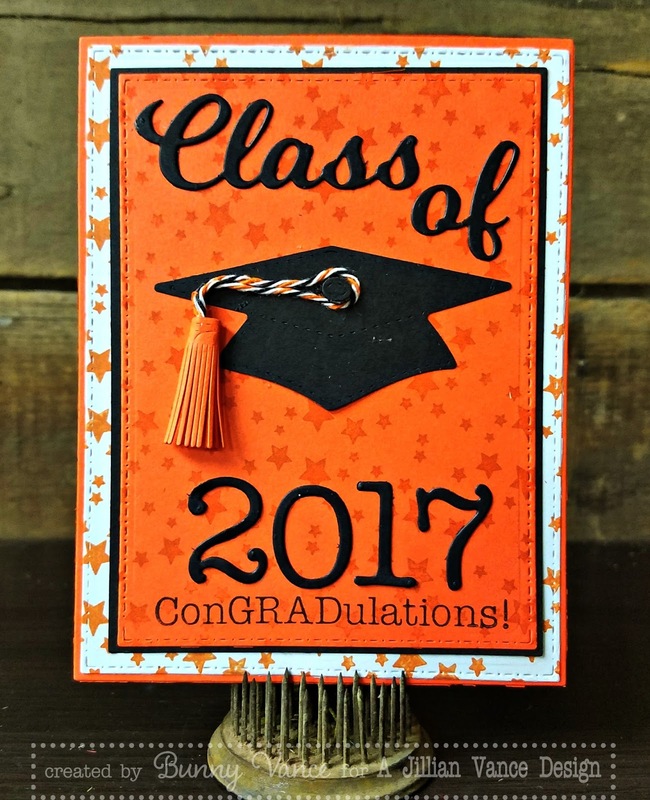 This Grad Cap and Tassel Trio Die Set is a tad smaller than her original Graduation Cap and Tassel Shaker die, it is perfect for those vertical OR horizontal layout cards. This one is so cool as it comes with a 3D Tassel DIE!!! YES, make a 3D tassel for your graduate! This is the miniature version or our stand alone 3D Tassel ~ Stitched 3D Tassel die. Also included is a button for the top of the cap, and 2 additional tassel dies, depending on the direction you want the tassel. The A Jillian Vance Design Graduation Collection has so many coordinating designs to mix and match. Check out my blog post on the A Jillian Vance Design HERE!